Makeup artist Munami Imai had us at hello with her first serum. Now, her decadent-smelling toner is bringing things full-circle. This serum takes hydration and radiance to the next level – locking in moisture with hyluronic acid, nourishing the skin with amino acids, and harnessing the power of goji berries and Bulgarian roses for their anti-aging benefits. Restrain yourself from drinking the toner from bottle. We are dying for this stuff. Body serum? Yes! If you’re skin’s not normally super-dry, but suffers in the winter, lay on this easy-to-apply, oil-like serum after a shower for deep, healing moisture that won’t leave a heavy feeling on your skin. These blends from EO are organic and smell amazing. 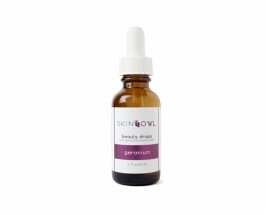 If you’ve never used geranium oil or a geranium-scented product, do yourself a favor and try it out ASAP. The scent is floral like rose, but spicy and dry at the same time. Therapeutically speaking, the scent is totally uplifting, and that’s just what it’ll do for your skin as well. These Beauty Drops from SkinOwl make the perfect solution for confusing skin that might be feeling upset and dry at the same time. 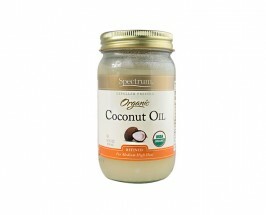 The oil isn’t too rich, while still fighting signs of aging, and gets skin glowing right away. We love this for a great-smelling night time ritual. If you don’t normally use a leave-in for your locks, winter is the time to give it a go. 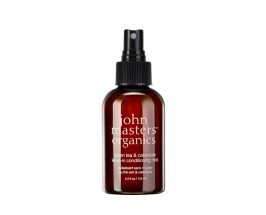 John Masters’ formula is full of organic oils and extracts to strengthen and replenish luster to your hair, while guar gum builds volume. Spray in after washing hair and kiss the static-driven frizzies away. This is our new go-to for fixing winter skin! 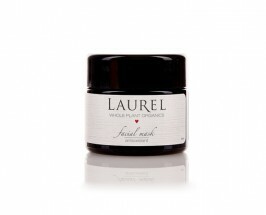 Laurel’s dry powder mask is full of mineral-rich clay, nettle, acai, noni, and other beauty superfoods and herbs that give your skin everything it needs for the season! Skin won’t break out from too much moisture or dry out from too much cleansing and all those trace minerals rev our skin up in a way we love – it’s the perfect mask. Lips need some love too this time of year. While a series of three products might seem a little much, we’re getting hooked on our new beauty ritual. 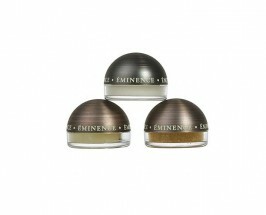 The Eminence Lip Trio includes a scrub, a mask, and a balm – and it’s all about that mask. You know those days when you’re applying lip balm every other blink and your lips still don’t seem happy? This mask is the solution. With the consistency of whipped coconut butter, this stuff is pure heaven for your kisser. A must try. Each of the products are paraben-, mineral oil- and petroleum-free, which sweetens the deal. Gently exfoliates and balances the epidermis. 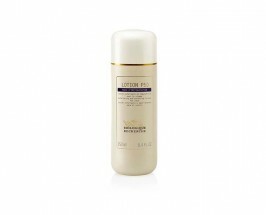 This gentle, balancing exfoliator is recommended for seborrheic and/or hyper-keratinized “Skin Instants”. Massage all over the face, neck and cleavage. Apply to the eye area once or twice a week. The first week: saturate moistened cotton pads with Lotion P50 and apply to the face, neck and cleavage. Thereafter: saturate dry cotton pads with the lotion. 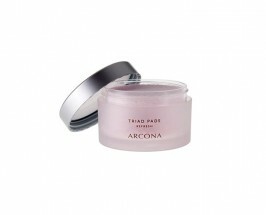 Arcona products all have a luxuriously strange and addictive scent we can’t get over. The pure botanical ingredients are likely to blame. These cranberry toner pads are insanely addictive for their soothing scent, convenient application and therapeutic formula full of vitamin E and omega fatty acids. This is a great entry product to the Arcona brand if you’re not familiar. Their skincare is high-performance, extremely pure, and a favorite of some very glowy celebrities who visit their spa here in LA. What winter beauty round-up would be complete without coconut oil? Technically, not a beauty product at all and more often found in the pantry staple aisle, every all-natural girl knows the value of this beauty power ingredient. Use it as a hair mask; use it to condition your lashes (on a day you’re no where near mascara!) or combine it with a little sugar to give your entire body the scrub of a lifetime. Share the post "Get Your Glow Back: 9 Natural Beauty Products To Solve Winter Skin Woes"
Lotion P50 contains phenol which is banned in the EU. Phenol is a highly toxic agent, rated 7/10 in terms of toxicity by EWG. Lotion P50 is definitely not a natural product….. These are amazing picks! I’ve been wanting to get my hands on the beautiful products from MUN, Laurel Whole Plant Organics, and SkinOwl. Great post! Our customers agree – MUN is exquisite, ethically sourced, organic and produces incredible results. Their new Travel Kit is great and makes for an affordable way to try the line.